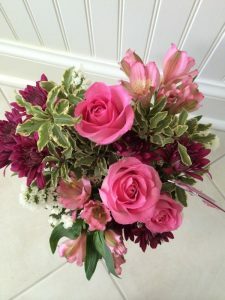 This post about Mothers Day flowers is sponsored by Teleflora.com. All the opinions expressed were 100% my own. Whether it’s gifting a mother, grandmother, best girlfriend, or wife, Teleflora shoppers can select from an array of beautiful, springtime fresh Mother’s Day-themed floral bouquets, bestseller bouquets, and bliss with Teleflora partner, SpaFinder Wellness 365 to create the ultimate 2-for-1 luxurious gift package. Close to Home was surprised a little early this Mother’s Day Gift with this Pink Bliss Bouquet. The vase is exactly the same. The flower amount looks slightly different but it may be the angle of the photograph. I love the matching card that is also part of this bouquet. Each Teleflora bouquet is artfully designed in an exclusive, limited edition keepsake container that is hand-delivered by a local florist. 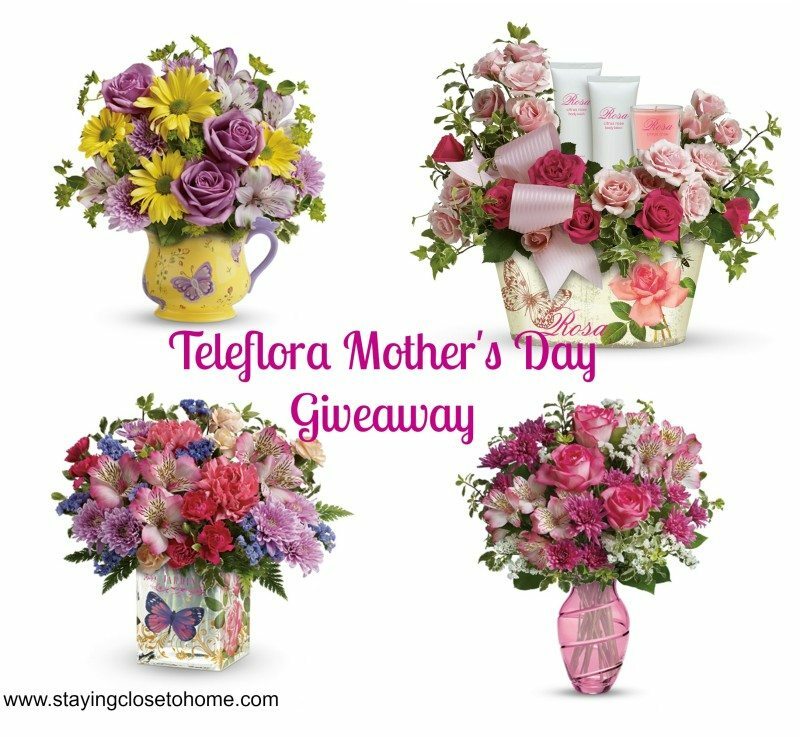 ONE LUCKY CLOSE TO HOME READER will have the chance to win one of these following Mother’s Day arrangements: The Everything Rosy Gift Set, Teleflora’s Pink Bliss, Teleflora’s Butterfly Serenity, or Teleflora’s Enchanted Garden Bouquet. The code can only be used from now until 5/12/14. I think my mom would love the Fashionista Blooms! I’d get the how sweet it is bouquet for my mom. Teleflora’s Imperial Purple Orchid for my best friend who loves orchids. Teleflora’s Enchanted Cottage to my daughter for mom’s day this year. I think I’d choose Pink Bliss! I love the vase! I would definitely purchase the Teleflora’s Enchanted Garden Bouquet! Though I’m not sure if it would be for my gramma or my boyfriend’s mom. They both would love it! I like the enchanted garden bouquet! I would send it to my Mom. I like Country Basket Blooms for my mom. Loving the Everything’s Rosy Package for ME since my family doesn’t give me a gift! Love the Zen Artistry Flowers! I would get the Butterfly Serenity Bouquet for my mom! She works so hard she deserves it! My mom would love the everything rosy arrangement because she loves roses. I like the enchanted garden bouquet! I would send it to my mother in law! Visited the site and I think I would pick the Spring Sonata arrangement for myself. 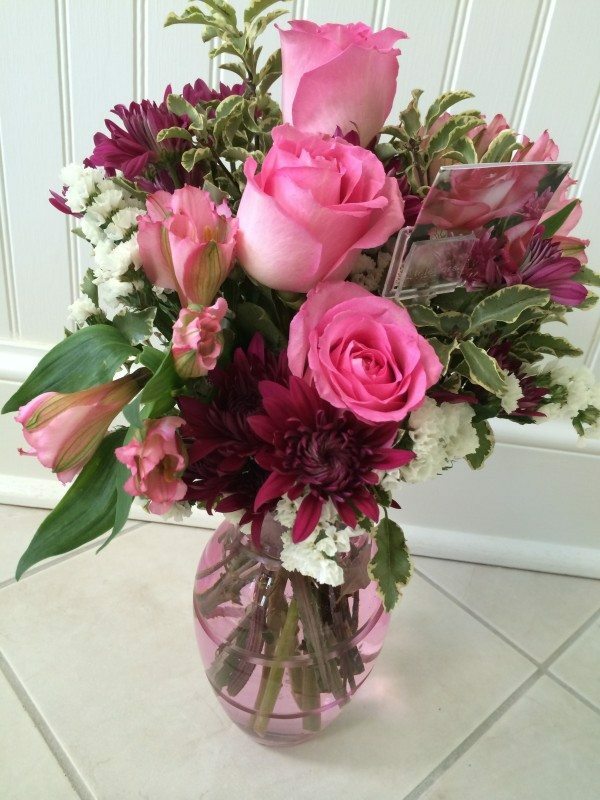 I think I would choose the Pink Bliss Bouquet….looks beautiful, my mom would love it! I love the Everything Rosy Gift Bouquet! Not only are the flowers exquisite, the bouquet includes body wash, hand & body lotion, and a candle! What a gorgeous gift! Thanks for hosting this Giveaway! I would send teleflora`s BUTTERFLY SERENITY bouquet to my lovely daughter. I’m not which one I would pick…I think I’m leaning towards the Pink Bliss. I would get it for my mom. I’d send the Perfect Peonies bouquet to my mom. I love the Zen Artistic arrangement for my daughter. The Country Basket Blooms for my mother she would love it! I’d go with the Everything Rosy Gift set for my Mom. I think she’d love that. My mom would love Teleflora’s Upsy Daisy bouquet . 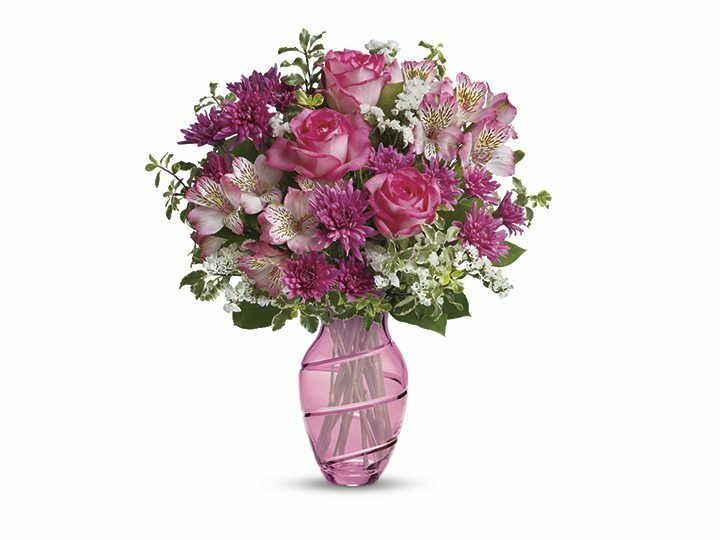 I would get my mom the Pink Bliss Bouquet for Mother’s Day which also happens to be her birthday. Pink Bliss Bonquet, for my family and myself. That’s tough. They are all so beautiful! I would buy Teleflora’s Pink Bliss Bouquet for my mom for Mother’s Day. I would love to get the enchanted garden bouquet for my mom! She would love it! I like the Teleflora’s Lavender Grace Bouquet. I would give this to my Mom. I would get the Everything Rosy Gift set for my daughter. I would get the meant to be bouquet for my wife and mother of my kids. I’d love the butterfly serenity bouquet for my mother in law.